Proteas leg-spinner Imran Tahir will retire from ODI cricket after the 2019 World Cup in the United Kingdom. 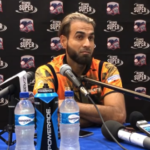 Imran Tahir of the Nelson Mandela Bay Giants speaks to the media after his side’s clash with the Cape Town Blitz at Newlands on 21 November 2018 in the Mzansi Super League. 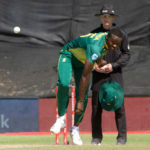 Leg-spinner Imran Tahir relished bowling with the new ball, as South Africa beat Zimbabwe by 34 runs in Tuesday’s first Twenty20 International against Zimbabwe at Buffalo Park in East London. Kagiso Rabada and Imran Tahir both moved up three spots in the ICC bowling rankings at the conclusion of the three-match ODI series against Zimbabwe. 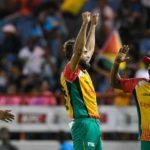 The Amazon Warriors clinched a two-wicket win against the Trinbago Knight Riders to see them advance to the Caribbean Premier League final. 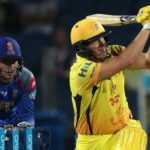 With the group stages of the Caribbean Premier League now concluded, ANITHA MADIKIZELA looks at the top five performances by South African players during the tournament ahead of this week’s upcoming knockout stages. 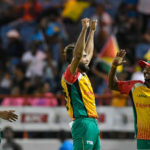 Imran Tahir stars for Guyana Amazon Warriors taking four wickets against St Kitts and Nevis Patriots in a four-wicket win. 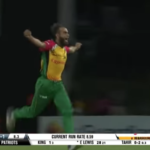 Imran Tahir took his wickets tally to 11 in the 2018 Caribbean Premier League. The Guyana Amazon Warriors crushed the Jamaica Tallawahs by 71 runs. 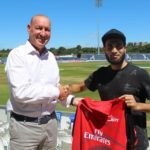 Imran Tahir arrived at Emirates Riverside on Tuesday ahead of his stint for Durham Jets, his seventh county side. 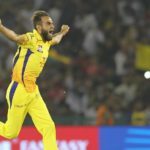 Leg-spinner Imran Tahir, who has been rested for the Proteas’ ODI and T20 series in Sri Lanka, will play for Durham in the Vitality Blast, the county T20 series. 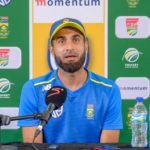 Imran Tahir says he still has a lot to offer the Proteas and believes they have the players to win the 2019 World Cup.